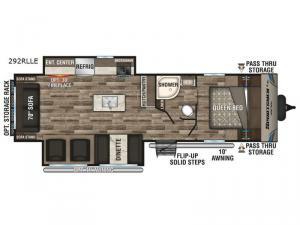 Do you need a travel trailer built to withstand the rigors of family camping as well as loaded with comforts? Look no further because this model has you covered! You can pack all of your camping necessities inside the sizable pass-through storage and easily access them throughout your trip. If you choose the optional rear storage rack then you can bring along your bikes or extra firewood too. What better way to unwind at night than to do so underneath the 10' power awning with an LED light strip. If you prefer relaxing indoors, you can choose to either sit in one of the chairs or on the 70" sofa with a sofa stand on either side. 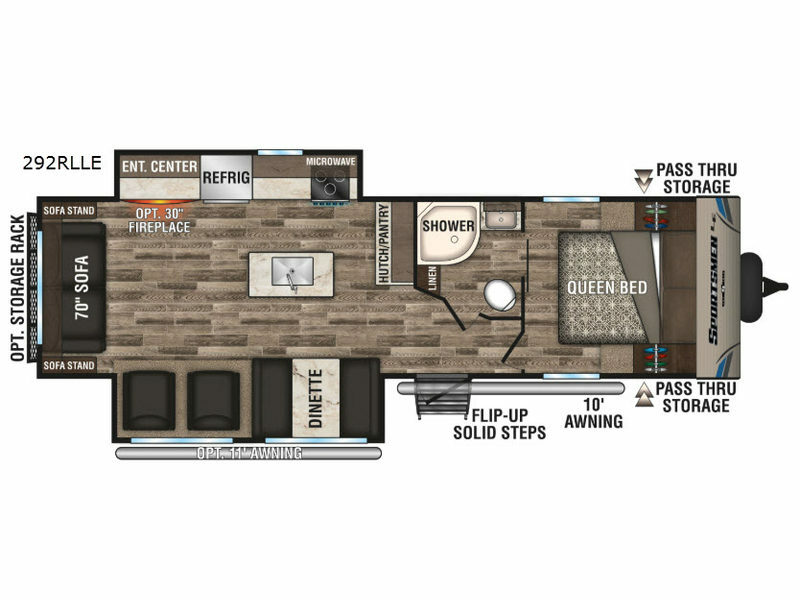 Start camping in this trailer!